Temperatures in Denver are gonna get a bit chillier than usual come February. The Mile High City will serve as the host for the 2019 UIAA Ice Climbing World Cup finals. This marks as the first time Colorado has hosted the Ice Climbing World Cup since December 2016 when the event was held in Durango. 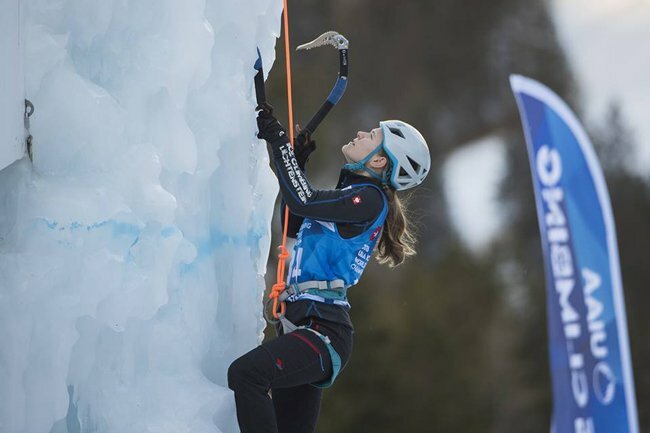 Brought to Denver by the International Climbing and Mountaineering Federation, the 2019 UIAA Ice Climbing World Cup will be held in Civic Center Park, from February 22-24, for the sixth and final circuit of the competition. The event will be free and open to the public. More than 200 athletes from 26 countries will converge on downtown Denver, competing in lead and speed ice climbing. Lead climbing, according to the UIAA website, requires climbers to have "great technique, tactical mastery, and nerves of steel in executing complex moves in seemingly improbable positions," while speed climbing is essentially a vertical version of the 100m sprint. "The 2019 season promises to be the biggest and best yet with a diverse and exciting array of competitions and events which will provide athletes with even greater opportunities to showcase their talents," UIAA head of sports Thomas Kahr said in a statement. Now, you're probably thinking "Oh, it can't be THAT hard. It's just like rock climbing." Yeah, it isn't. Not even close. The amount of strength and stamina that the climbers must have to pull off the gymnastic-like moves seems practically impossible -- and they manage to do it on ice! "The stamina, skill, and seeming impossibility of it all makes for an outstanding spectator experience. They're up there doing crazy moves, wielding sharp tools, and they hang on forever," said Phil Powers, CEO of the American Alpine Club. The Ice Climbing World Cup will consist of six events, with Denver being the only city in the United States to host an event. The other countries include Cheonsong, South Korea; Hengshui City, Hebei Province, China; Saas-Fee, Switzerland; Rabenstein, Italy; and Champagny-en-Vanoise, France. To view the full calendar of events for the Ice Climbing World Cup, click here. What do you think? Will you be stopping by Civic Center Park in February to check out the finals of the World Cup? Do you think you'd have what it takes to take part in a competition like this? Have you ever attempted ice climbing before? Let us know your thoughts in the comments below, and we'll see you there! Colorado Avalanche 2018-19 Season Schedule.